Kateel or Kateelu (Tulu / Kannada: ಕಟೀಲು) is a temple town in the Dakshina Kannada district of Karnataka, India. This picturesque Temple abode of Goddess Durga Parameshwari located on the bank of river Nandini is about 26 k.m. from Mangalore, a place known for its serene nature and beautiful surroundings. The very Temple of Maatha Durga Parameshwari is located in the middle of the river Nandini. This holy place attracts thousands of devotees from all over. During rainy seasons, the river Nandini flows and gushes like a python. The nature surrounding the temple is a real treat to watch during this time. 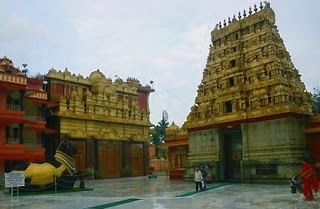 Pilgrims who visit the temple during the season do not feel like leaving because of the divinely charged Temple environs and its scenic beauty. Navigate further for more info on this Holy place and obtain the blessings of Durga Parameshwari. 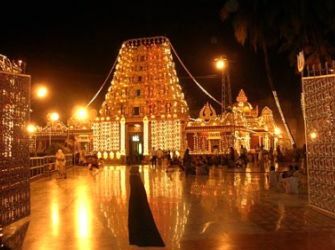 It will take about 30 minutes to reach this temple by car from Mangalore city. Daily Maha Pooja is conducted at 12:00 AM. Free meal(Anna Daana) is available in the afternoon in temple after the Maha Pooja. Anna Daana makes Shree Kshethra specially identified to be the realm of God. Every day about 2000 people get Prasada Bhojan which exceeds 4000 on Fridays. Old Guest House: 8 Rooms with attached bathroom (Reserved for VIPs). Many Private Lodging/Hotels are available in Kateel and Mangalore city. 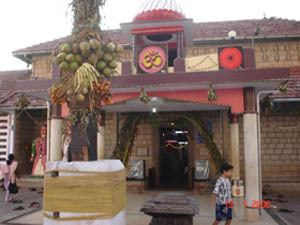 Kadri is a historic spot in Mangalore, dating back to about 1068 A.D. The temple has nine tanks and is built in a square; it nestles at the foot of the highest hill. The Lokeshwara bronze statue of the Kadri Manjunatha Temple is one of the best bronze statues in India. On top of the hill King Kundavarma Bupendra built a mutt which came to be called Jogimutt. There are some stone caves on top of the hill which are known as the caves of the Pandavas.The lakshyadeepotsava in January and Mahashivratri in February are two of the major festivals celebrated in this temple. 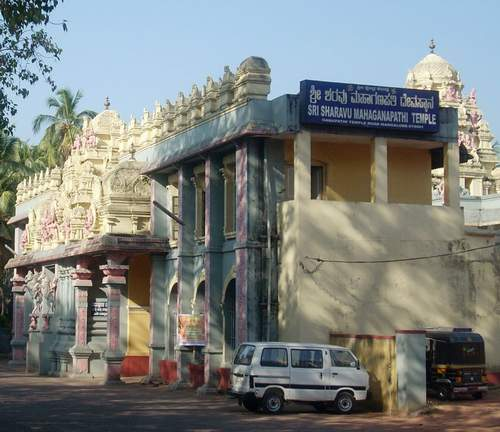 Mangaladevi temple is dedicated to Mangaladevi, the presiding deity of Mangalore. Mangaladevi was a princess of Kerala, who came here accompanying Matsyendranatha, one of the propounders of the Nath cult and breathed her last on this land. The 10th century temple is situated 3 Km. away from main City Bus stand. 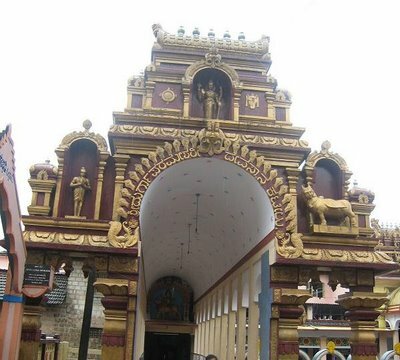 This temple built by the Ballal family of Attavar. The reformist Narayana Guru installed this temple in 1912 for the Billava community, who were prohibited the entry to other temples. The main deity is Lord Shiva (Gokarnatheshwara) but there are also smaller shrines for Mahaganapathi, Subramanya, Shaneeshwara, the Navagraha, Annapoorneswari and Anandabhairava. Maharaja Veerabahu was hunting a tiger with his bow and arrow, but he shot a cow instead. He sought redemption from a revered sage who instructed him to install and worship a “Shiva Linga” on the spot. So a temple was built and named after the weapon which killed the cow. Hence, the arrow or “Shara” inspired the name Sharavu. 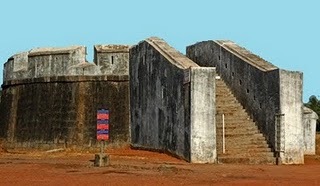 This watchtower was built by Tipu Sultan to prevent enemy warships from entering the Gurpur River. Cannons mounted on vantage points of the tower used to mow down the enemy with enormous firepower. Remnants of the original fort-like structure today constitutes what is called the Tipu’s well. It is today a deserted spot but its construction is bafflingly exquisite. 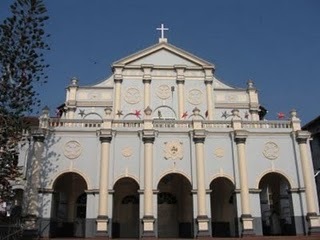 Built in the year 1899-1900, St. Aloysius College Chapel is located on the light house hill. For its sheer architectural beauty, the Chapel is regarded on par with the famous Sistine Chapel in Rome. Exquisite frescoes adorn the walls and the ceilings of this structure, which are regarded to be the creation of trained Jesuit priest Antony Moscheni. 1. 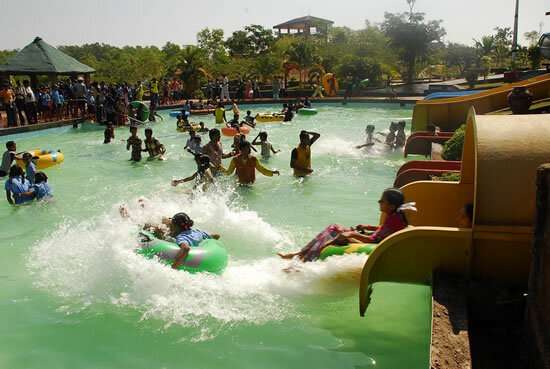 Manasa Water Resort, Pilikula: is adjacent to Pilikula Nisargadhama is a an amusement water park and open all the days in a year. Manasa Amusement & Water Park is an ideal picnic spot, place rather a heaven on earth, nestled in the scintillating and amusing with cool, calm, serene and lush green is just 12Kms from Mangalore city and also just 12Kms from Mangalore International Airport, situated within 450 acres Tourism project of Dakshina Kannada administration “Pilikula Nisarga Dhama”, Eco-Educational Tourist Park with Zoo, Botanical Garden, Heritage Village, Science Centre, Lake, Garden, Boating, Golf course. 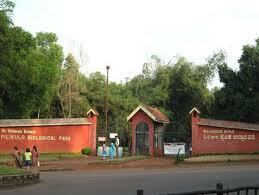 Pilikula Nisargadhama: is picnic spot / hangout at Vamanjoor, nearly 10 km’s from Mangalore. Pilikula literally means Tiger’s lake. In olden days, tigers used to come to this lake to drink water. Pilikula Lake: The Mangalore City Corporation has developed this area & has now become the hotspot for people who are looking forward to enjoy scenic beauty & peace. 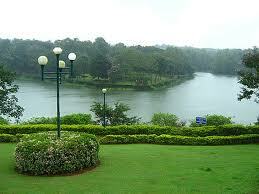 Pilikula has a huge lake & a beautifully laid gardens encircling the entire lake. Boating facilities are available in the lake. Botanical Garden, Zoo & Theme park : On the other side of the road, there is a huge botanical garden comprising of variety of trees & a zoo comprising of several wild animals.The sepciality of this zoo is that the wild animals are not kept in cages. They are in the open. However, there are partitions like wide trenches or wire mesh, in order to avoid direct contact with visitors. There are also a variety of snakes & birds in the zoo. Pilikula Golf Course: The Pilikula Golf Course is set in an area of 35 acres. Currently only nine fairways and nine browns, with a total yardage of about 2800 yards, have been laid traversing the hills and the dales. This entry was posted in Holidays, Karnataka, Mangalore. Bookmark the permalink.